There are some secret places on this earth that man has been forced to create, not to enjoy, but to be able to survive. To escape harsh elements, but mostly, as a refuge from tyranny and persecution. Because he was perceived to be different. Or just because he did not happen to pray to the ‘right’ God. The surreal lunar landscape of Cappadocia conceals a massive network of such secret places……whole subterranean cities, several layers deep! Originally thought to have been built over 3500 years ago, by the Hittites making their last stand against the enemy they called the ‘Sea People’, they were later used by early Christians fleeing persecution by the Romans. 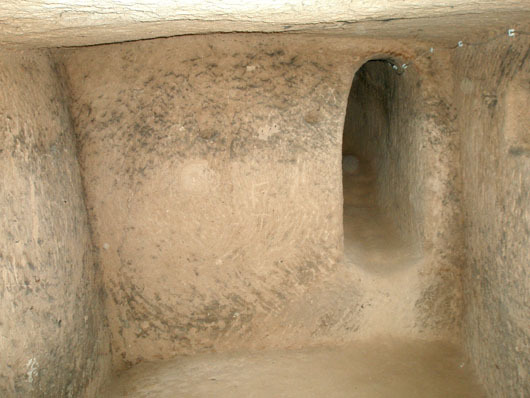 Narrow claustrophobic tunnels lead to large rooms with ventilation shafts and niches in walls for oil lamps. The first level was always reserved for stables and animal pens. With living areas, kitchens, churches and store rooms stretching below over several levels. There were baths, toilets and wineries too! And dry wells for water storage and wet wells over natural springs, both inter-connected for a continuous supply of fresh water. 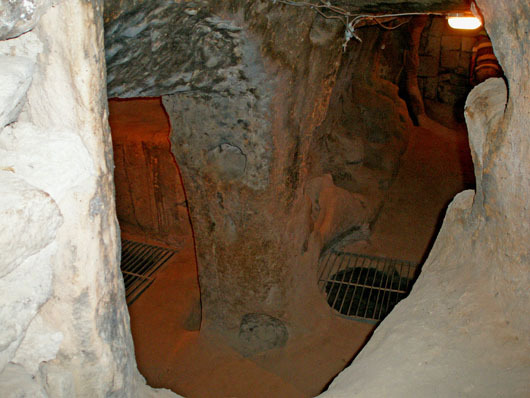 Massive grain stores ensured the inhabitants could survive a siege underground almost indefinitely! The dead were interred in temporary burial chambers till their remains could be transferred to permanent graves outside. 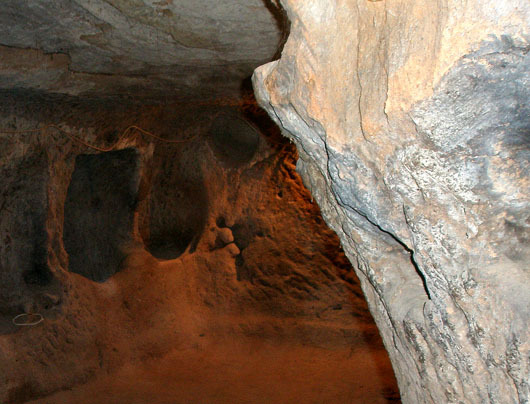 There are reputedly innumerable underground cities around Cappadocia spread over a radius of a hundred square miles! Only forty have been excavated so far, and of these just six are open to the public. A fascinating part of any Cappadocia itinerary, but don’t expect artwork and mosaic, at least not in the ones open to the public. And do not attempt it if you are the least bit claustrophobic. These photographs are amazing! You’ve shared much information. Very informative and great shots. I heard of these before, but never saw such great interior shots. 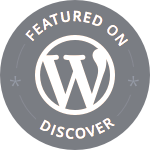 Wow Madhu this is fascinating and your photos really capture the beauty of the place. You warn don’t go if you’re claustrophobic? How did a claustrophobic person LIVE down there? I’d really love to go to Turkey one day!